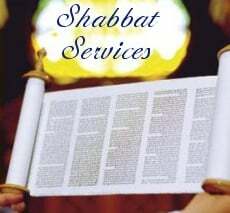 Join us for Shabbat Services. The traditional service is designed to guide you step-by-step and will make you comfortable regardless of previous exposure and background. This, coupled with modern Jewish melodies and an easy to read prayer book translation will make Shabbat prayer services an enjoyable and meaningful experience for you. Services will be followed by a delicious Kiddush replete with authentic Gefilte Fish and Cholent.